There are many sites online that allows you to consult and add opinions about business. But the reviews on Google dominates more than 60% and are trusted by millions of people trying to choose the best business. The reason is simple, when you use this site to search for a business or service, by default shows you the reviews and lets you know the opinions of the business' clients. Google Reviews is an important source of information and decision-making when buying a service or product. According to ReviewTrackers, 94% of their respondents said that the reviews convinced them to avoid a business. So as you can see, you should pay attention to your reviews and monitor your business' online reputation. I'm sure there are more happy customers in your business than disgruntled customers, and I know it because if that were not the case, your business would no longer exist. So how to get your customers to write reviews in Google? Without further complications, you have to ask for it. 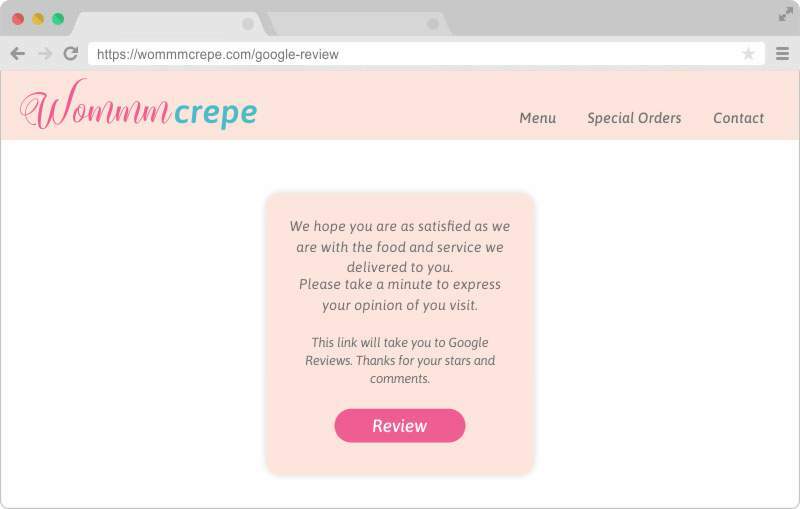 In the following paragraphs I will give you three tips to make easier to your customers to go and give a review on Google. Usually your customers would have to go to Google and search specifically for your business. Once the results list is shown, they must locate the "Write a Review" button which takes them to a form with stars and an area to write their comments and add photographs. 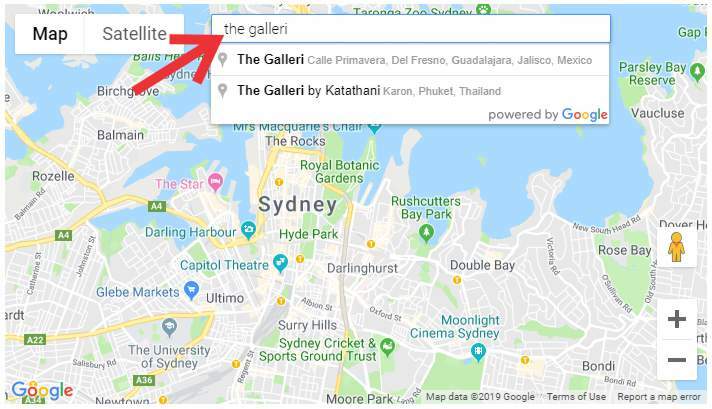 Another way your clients can review your business is after they visit your location and Google knows it through their cell phone, Google Maps may ask them for a review of the business. It is up to them if they want to do it or not. But there is a way to make your client's life easier once we ask for a review, we can get a direct link to the Google Review's form which is the place we want them to go. 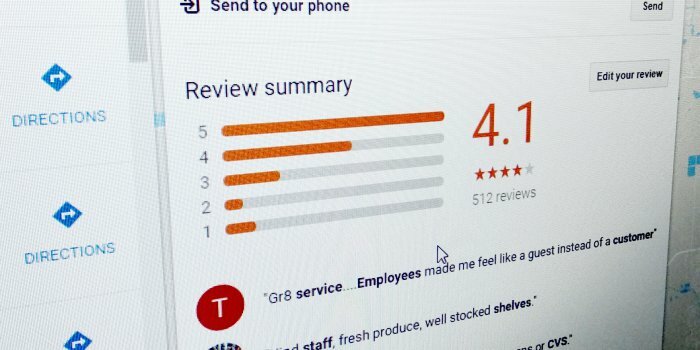 Google Review's form to rate and write the opinion of a business. Google has a tutorial that explains how to obtain the link. However, I found it difficult to understand and frankly confusing even though the process is very simple. I will try to explain it in a way easier to follow. Next you need to do is to get the ID code that Google has assigned to your business. The link in this text will take you to a Google page with a map. Here you have to locate your business using the search bar to write the name of your company. If you have more than one location, you will have to do the same for each branch or location. The tool PlaceID Lookup from Google will help you to get your business' ID code. Once you write the name of your business, click on the correct option from the list. 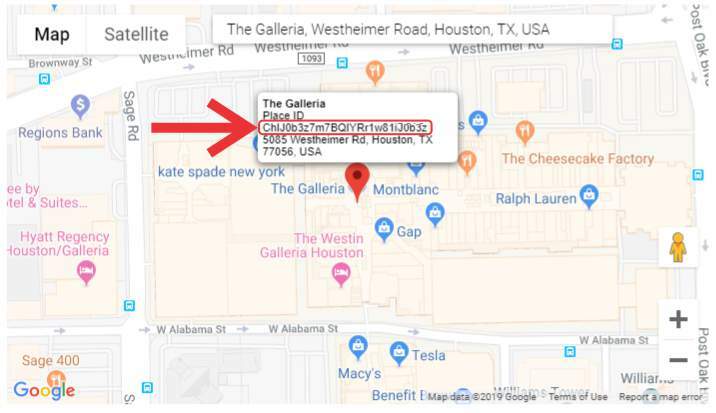 On the map you will see an indicator with the name of your business and a code. In the image below you can see marked exactly which is the identifier that you should copy. Of course, each code is different for each business, so it is important that you copy it correctly. Select the identifier code as shown in this image. You can verify that everything works correctly. Copy the link you got, and paste it in a window of your favorite browser. 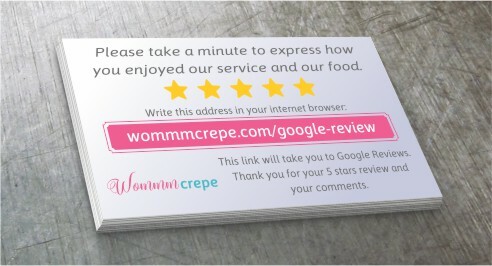 The link should take you directly to the Google Reviews form of your business. Save this code somewhere because will need it later. Now you can share the link with your customers and invite them to review and write their opinion about your business. Keep in mind that Google requires to have a Google account to make any review. But you can do something else to make this process even easier. Read the following tips that I have used with some clients and have helped to increase their ratings. I hope will be helpful. Tip 1: Create a page on your website to invite your customers to make a review. This page can have a brief invitation text to review and a button to take your client directly to review in Google. With this page, you avoid giving him a long and boring link. Tip 2: Redirect to Google Reviews. This time the address will not link to a web page with a button, but it will take your visitors directly to the form to write the review. This option requires some knowledge of the subject, because you have to modify a file in the configuration of your website and if it is not done correctly, you could leave your website disabled for a while. The process is simple, and if you want to do it, you are aware of what you do and do it at your own risk, continue reading the following tutorial that will guide you. By doing a redirect you are telling your visitors and search engines that the information is now in this other place. This prevents broken links, which is not good for SEO. The link to Google Reviews form (the one we already have). FTP access to the server of your website. Access to the .htaccess file on the server of your website. If this file does not exist on your server, you can create a plain text document on your computer, the name is important (do not forget the dot at the beginning of the file name .htaccess). Step one: Access your server's FTP and locate the .htaccess file. The file is located in the same directory as the index.html or index.php file, which can be the html or www folder on your server. Step two: Download the .htaccess file and create a copy as a backup. 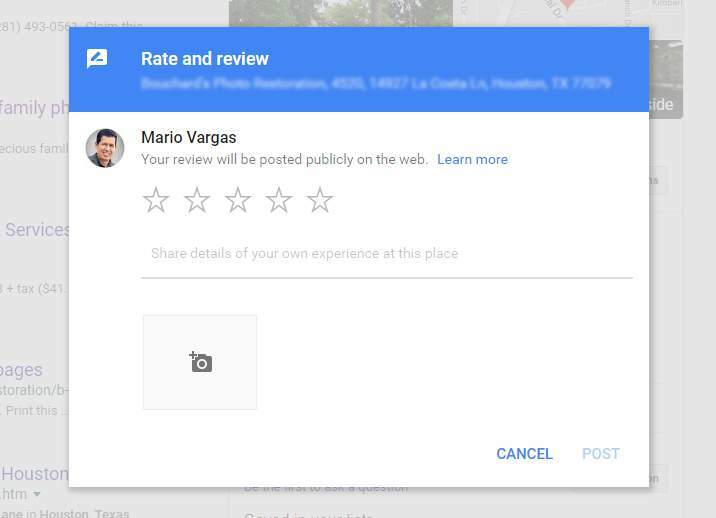 This means that mybusiness.com/google-review will be the address that takes your customers directly to the Google Reviews form. Step six: Save your file. 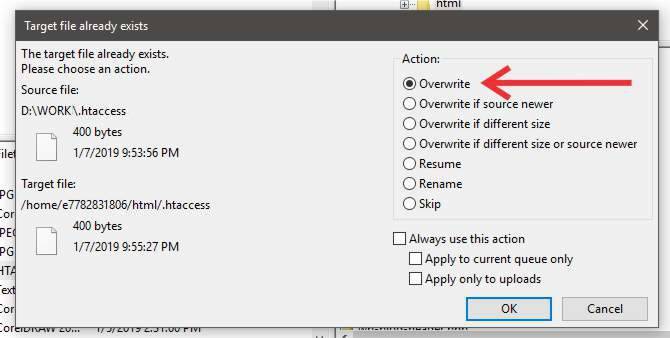 If you created the file from a blank document, this line of text should be the only one in your document. Go back to your FTP program and upload it to your server to replace the existing .htaccess file (for this you have already created a backup file, in case something goes wrong you just have to replace it with the original file). If the FTP program ask you if you want to replace the file, accept the replacement. Step seven: Now let's test if the link works, open a new window of your web browser. Visit the homepage of your website, just to verify that everything is working ok.
Once this is done, visit the link you created. If everything is right, it should take you directly to make a review of your business. You can share this link with your clients and invite them to review your business. Tip 3: You can create cards inviting to review your business. Nowadays it is cheap to print 100 or 1000 cards similar to your business cards and distribute them among your happy customers. Do not expect most of them to do it, but it will be significantly more than if you did not. Have a great day. If you need help with this topic or with the design of the logo or website of your business, do not hesitate to contact me. Do you want Google to see your website? Twelve tips to attract the visual attention of your audience. Your email is required but it will not be published.